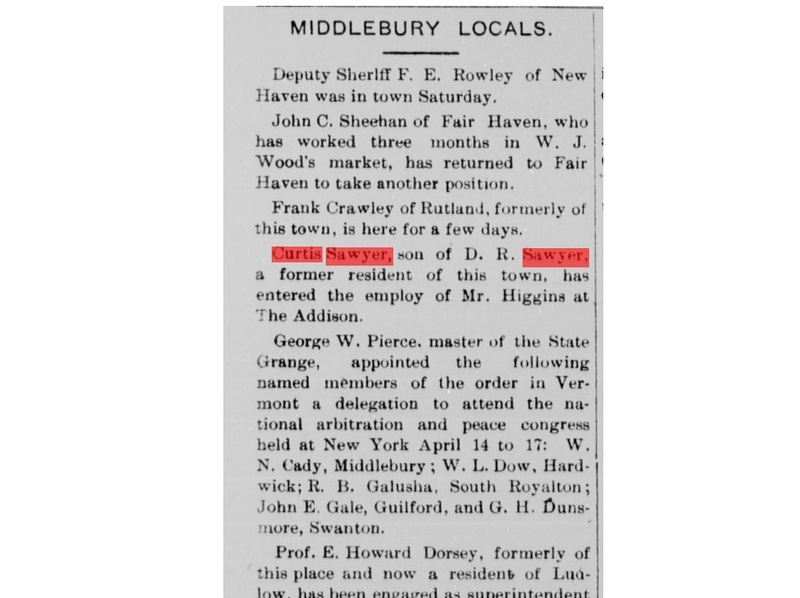 My passion for WWI Vermont material is endless and I make every effort to track down unique, original photos and objects related to Vermonters in the Great War. 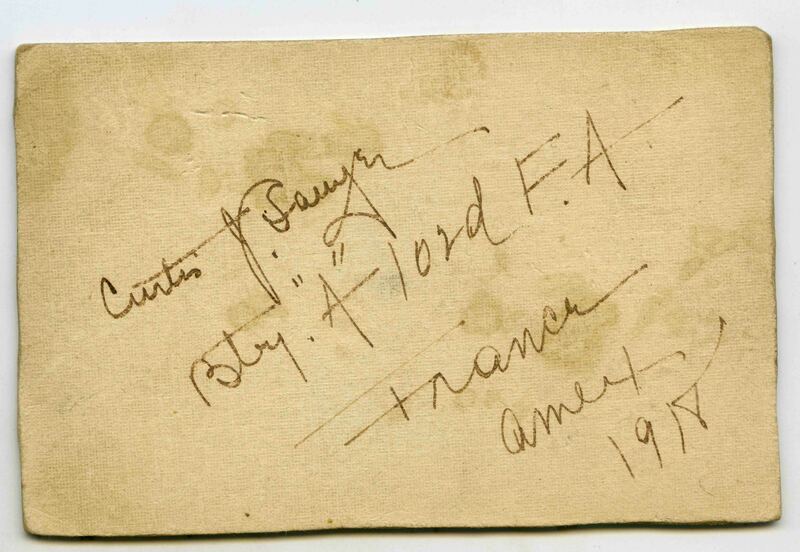 It’s not easy to find and often comes at a price; 26th Division material is popular with French collectors and fetches a high price when purchased on eBay. 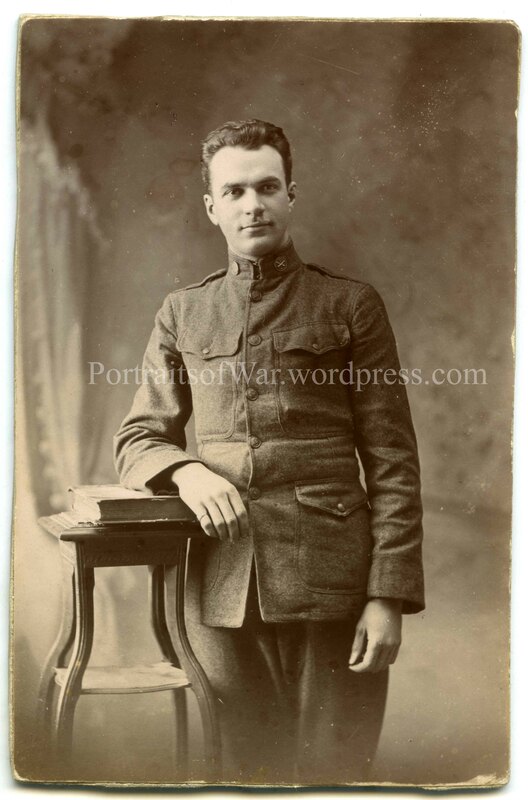 In this case, I was able to purchase a studio photo of a 102nd Field Artillery Vermonter of Battery A . Curtis J. Sawyer was born in Middlebury, VT on September 13th, 1893 – nearly 120 years ago! 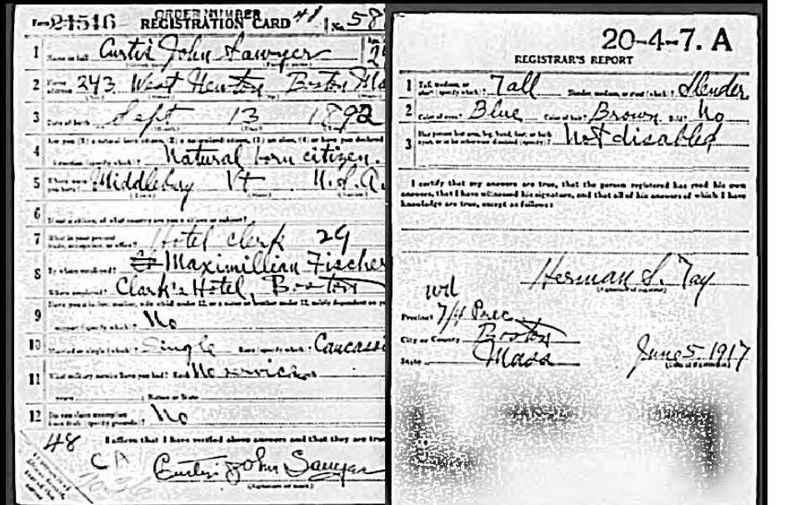 He worked at hotels most of his life, having worked at Clark’s Hotel in Boston in 1917 when he registered for the draft. 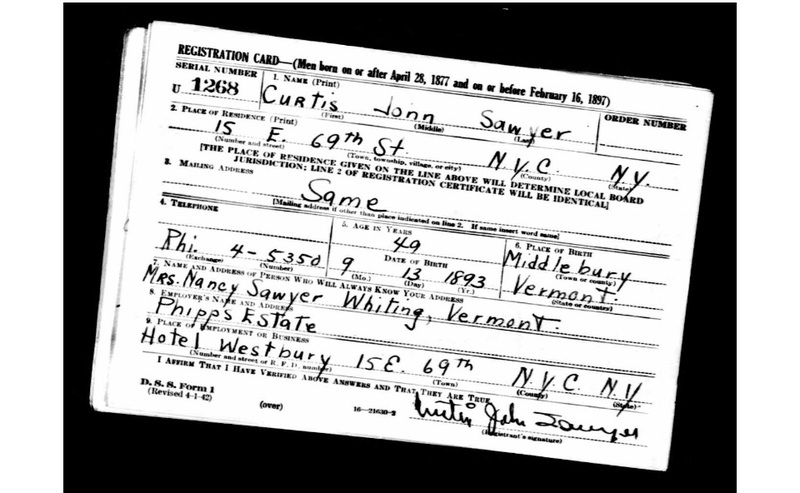 Previously he served as a clerk for City Hall in Barre, VT – not far from where I work! He started his career early at the age of 17 (at least) and worked as a clerk and hotel man unit his death. He is listed as being tall with a slender complextion with blue eyes and brown hair. He lived nearly 90 years and died in 1980 in Arlington, MA – not far from Boston.